We know how important it is to keep things running smoothly in the classroom. We’ve put together some quick reference guides for teachers and ICT staff so that you can quickly sort things out and get your class back on track. Our app provides you with the same experience as your students. You can see eBbooks the same way as your students see them. Enter the User Name and Password you have been provided by Campion or your school administrator. 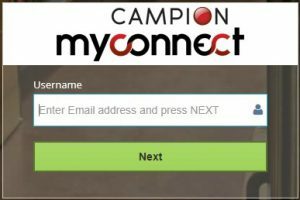 If students forget their username or password, these can be reset from your Teacher Dashboard in your online browser version of Campion MyConnect. Click on Student to find the correct student. 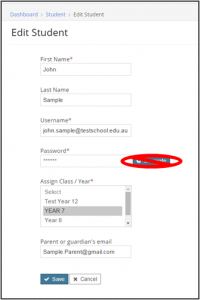 Edit or reset the student details as required. The system does not send the student their new details, so ensure that you advise the student of their new details before saving and closing. If students have activated their Campion MyConnect app on more than 4 devices, they may find their account becomes locked. You can deactivate their devices so that they can log in and begin using their account again. You can deactivate their from your Teacher Dashboard in your online browser version of Campion MyConnect. Select the tab titled ‘Student Activations’. 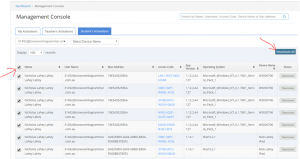 Filter the devices by student user name / email address, to find all the affected student’s devices. Select the devices you wish to deactivate by ticking the boxes alongside each device. Then click the ‘Deactivate All’ button. The student’s devices will be deactivated. They can then log back into the Campion MyConnect app on the device they are using and commence using the app again. Enter the User Name and Password you have been provided by Campion. We recommend that you download all apps and native files to all your IT admin staff, key elearning leaders and relevant school staff before releasing the apps to students. By familiarising yourself on the platform and testing it in your environment will minimise the risk of new issues and maximise the success of the rollout. For all devices, ensure your students and staff are connected to a WiFi (i.e. at home) or school network which has an active internet connection. You can deactivate their from your Administrator Dashboard in your online browser version of Campion MyConnect.